It looks like we have some more specifications on the HTC One Max, the guys over at Nowhereelse (french) have published what appears to be a screenshot of the handsets specifications. 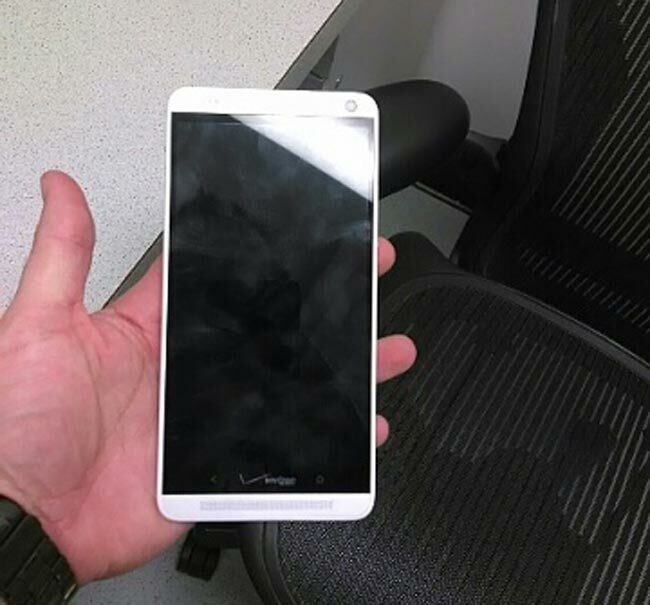 According to the specifications the HTC One Max will come with a 5.9 inch Full HD display with a resolution of 1920 x 1080 pixels, the device will come with 2GB of RAM and will be powered by a quad core 1.7GHz Qualcomm processor. The HTC One Max will come with a choice of storage options which include 16GB, 32GB and 64GB of built in storage, the handset will also featur a microSD card slot that will take up to 32GB cards. 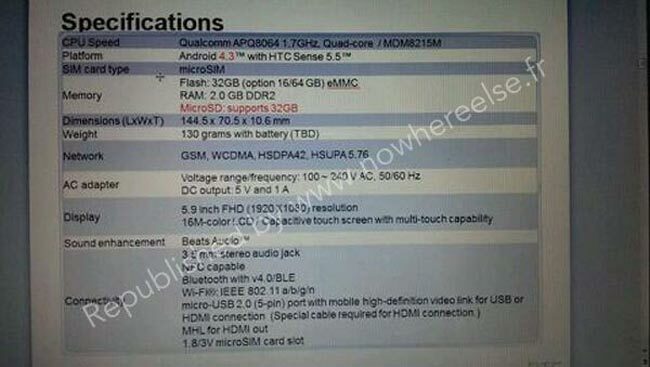 Other specifications on the HTC One Max will include NFC, Bluetooth 4.0 LE, 802.11 a/b/g/n WiFi, microUSB, a microSIM card slot, the handset will come with Android 4.3 Jelly Bean and HTC Sense 5.5. HTC are holding a press event in Hong Kong next week on the 16th of October we are expecting the HTC One Max to be announced at this event, as soon as we get some more details on the device we will let you guys know.